The fall from politico to prisoner isn’t necessarily long, but the landing, as Missouri State Senator Jeff Smith learned, is a hard one. Smith saw the power of millions of inmates harnessed as a source of renewable energy for America’s prison-industrial complex, a system that aims to build better criminals instead of better citizens. 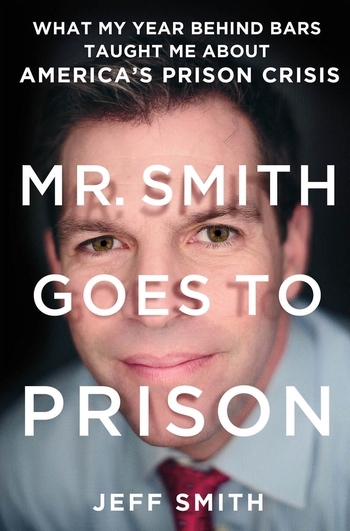 In Mr. Smith Goes to Prison, he traces the cracks in America’s prison walls, exposing the shortcomings of a racially-based cycle of poverty and crime that sets inmates up to fail. Speaking from inside experience, he offers practical solutions to jailbreak the nation from the financially crushing grip of its own prisons and to jumpstart the rehabilitation of the millions living behind bars. Jeff Smith is a former Missouri State Senator who represented the city of St. Louis from 2007 until 2009, when he pleaded guilty to obstruction of justice in a previous campaign. Having served a yearlong sentence in Kentucky's FCI Manchester, he is now an assistant professor at the New School's Milano School of International Affairs, Management, and Urban Planning. He lives in New Jersey with his wife and two children.